The learner will engage in supervision and operational activities relevant to Animal Production. Requests and expressions of need for this qualification, coming from the broad, but also specific farming communities (Animal Husbandry) forms the basis for the development of this qualification. This qualification will form the basis for learners to extend their learning into more specialised areas of animal production and provides the basis of the establishment of sustainable farming operations through the inclusion of a wide spectrum of competencies required by farmers in South Africa. Whilst technical production orientated competencies are ensured, other aspects such as agri-business and good agricultural practices are included in the range of competencies required by farmers in order to enable them to strive towards agricultural management standards and practices at higher levels. Competent qualifying learners in this qualification will participate in the production quality agricultural products in Animal Husbandry whereby enhancing the overall agricultural process and gain opportunities to access local, national and international agricultural markets. The learner will engage in farm management and operational activities relevant to Animal Production. Requests and expressions of need for this qualification, coming from the broad, but also specific farming communities (Animal Production) forms the basis for the development of this qualification. This qualification will form the basis for learners to extend their learning into more specialised areas of animal production and management and provides the basis of the establishment of sustainable farming operations through the inclusion of a wide spectrum of competencies required by farmers in South Africa. Whilst technical production orientated competencies are ensured, other aspects such as agri-business and good agricultural practices are included in the range of competencies required by farmers in order to enable them to strive towards agricultural management standards and practices at higher levels. Competent qualifying learners in this qualification will oversee quality agricultural products in Animal Production whereby enhancing the overall agricultural process and gain opportunities to access local, national and international agricultural markets. The learner will engage in supervision and operational activities relevant to Plant Production. Requests and expressions of need for this qualification, coming from the broad, but also specific farming communities forms the basis for the development of this qualification. This qualification will form the basis for learners to extend their learning into more specialised areas of plant- and animal production and provides the basis of the establishment of sustainable farming operations through the inclusion of a wide spectrum of competencies required by farmers in South Africa. Whilst technical production orientated competencies are ensured, other aspects such as agri-business and good agricultural practices are included in the range of competencies required by farmers in order to enable them to strive towards agricultural management standards and practices at higher levels. Competent qualifying learners in this qualification will oversee quality agricultural products in mixed farming systems whereby enhancing the overall agricultural process and gain opportunities to access local, national and international agricultural markets. 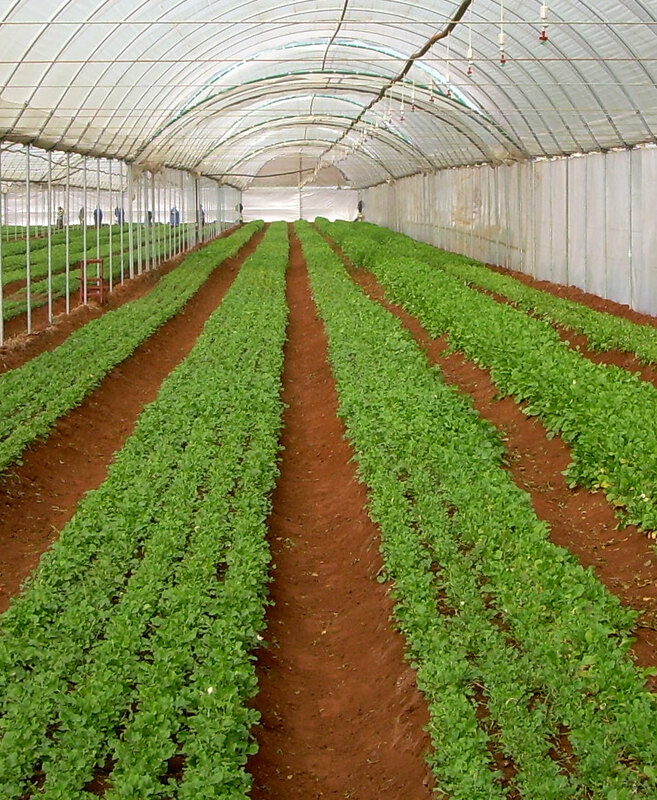 The learner will engage in operational activities relevant to Plant Production. Requests and expressions of need for this qualification, coming from the broad, but also specific farming communities (Plant Production) forms the basis for the development of this qualification. This qualification will form the basis for learners to extend their learning into more specialised areas of plant production and provides the basis of the establishment of sustainable farming operations through the inclusion of a wide spectrum of competencies required by farmers in South Africa. Whilst technical production orientated competencies are ensured, other aspects such as agri-business and good agricultural practices are included in the range of competencies required by farmers in order to enable them to strive towards agricultural management standards and practices at higher levels. The learner will engage in farm management and operational activities relevant to Plant Production. This qualification will form the basis for learners to extend their learning into more specialised areas of plant production and management and provides the basis of the establishment of sustainable farming operations through the inclusion of a wide spectrum of competencies required by farmers in South Africa. Whilst technical production orientated competencies are ensured, other aspects such as agri-business and good agricultural practices are included in the range of competencies required by farmers in order to enable them to strive towards agricultural management standards and practices at higher levels. Competent qualifying learners in this qualification will oversee quality agricultural products in Plant Production whereby enhancing the overall agricultural process and gain opportunities to access local, national and international agricultural markets.